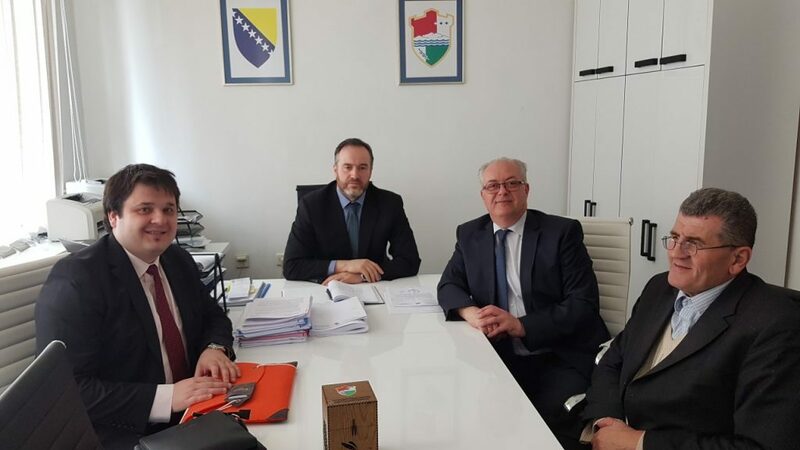 The Mayor of Travnik, Mr.Admir Hadžiemrić and member of the Organizing Committee for Trade Fair “Timod EXPO 2019”, Faris Hafizadić, presented today the activities related to the organization of the Fair to the newly appointed Minister of Economy for Central Bosnia Canton, Mr.Nisvet Hrnjić. Minister of Economy ,Mr. Hrnjić expressed his enthusiasm about the fact how Travnik and Central Bosnia Canton will, for the first time be the organizers of the textile, leather and footwear Fair “Timod expo 2019”. On this occasion Minister Mr.Nisvet Hrnjić confirmed that the Government of the Central Bosnia Canton and the Ministry of Economy will fully cover the exhibition costs of all companies and producers from Central Bosnia Canton who will participate at “Timod expo 2019”. The final conclusion, and aim is that “Timod EXPO”, Fair for textiles, leather and footwear should become a traditional event in our canton. The first specialized textile, leather and footwear fair “Timod EXPO 2019” will be held in Travnik from 24 th till 26 th of April in PSKC “Pirota”.